The Bensen B-10 Propcopter consisted of a boxy frame with 1.2 meter (4 foot) props mounted vertically on the front and back of the frame. Each was powered by its own 54 kW (72 HP) McCulloch engine. 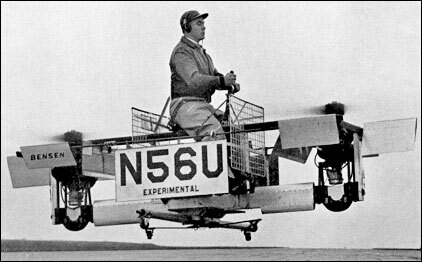 The Propcopter flew in 1959. The B-10 was flown in prototype form (N56U) on 6 August 1958 and apparently was tricky to handle. It was not developed further.